Former UCLA basketball player Billy Knight passed away this week, due to an apparent suicide. The 39-year-old was found lying in a roadway, unresponsive, and pronounced dead shortly after. Suicide is so profoundly saddening, and leaves loved ones with so much pain and unanswered questions – rarely do we ever get a glimpse into what the person was thinking leading up to their tragic decision to end their own life. Knight, however, recorded a tearful 6-minute video that attempted to explain why he was doing this. Be warned: it’s emotional and difficult to get through. 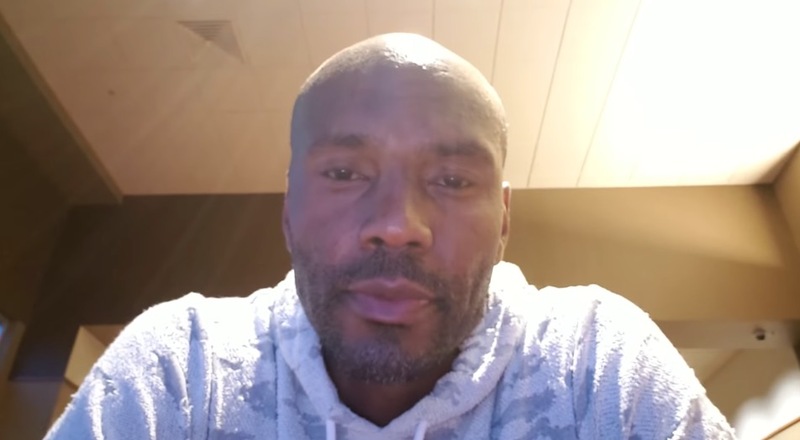 Knight titled the video “I am Sorry Lord” and in it explains that he’s “lived a life of sin” and that this will be his last message here on earth. It’s incredibly sad and tragic — and many will not see the value in taking a good hard look at the face of someone struggling with suicidal thoughts. My hope and prayer, however, is that this article (and video below) does what Knight had, with tragic irony, urged people to do in the video: cause those considering suicide to seek and receive the help they so desperately need. The video is embedded at the bottom of the article — feel free to scroll down now and watch. I believe by doing so you will make yourself more alert and aware of the plight of people around you, especially in your own family and circle of friends. I believe it will burn an image in your mind you will not easily forget, and that image ingrained in your memory could very well save the life of someone you love. You never know when you’ll be the last lifeline for someone about to do the same thing. And if you are, perhaps maybe, just maybe, Billy Knight’s last video will come to mind. That God grant you the words to ease the burden on a weary soul. That they are reminded that we are saved by grace and by grace alone, for salvation is a gift of God — not of ourselves. That even though we sin, like the murderous King David we can still be a soul after God’s very own heart. That they are receptive to God’s grace and bask in the beauty that is his blood shed for our sins, no matter how far we’ve “veered off,” as Knight says. My prayer is that people realize God is making beauty from the ashes. That brokenness is in all of us, and that beautifully broken testimonies like Knight’s are the best testimonies. But in his own words, he lost hope. Too many people lose hope. Too many people forget that Jesus is Lord of ALL and that even if you have nothing in this world, you have everything in Him. We have to be the hands and feet of Jesus and pull ourselves away from our phones and busy lives to make sure we are on the lookout for the next person contemplating the unthinkable. Please watch and share this video, as painful as it is. You might just save a life. If you suspect someone is in need of help and you’re not sure of what to do, call the National Suicide Prevention Hotline at 1-800-273-8255. Here’s the video. Watch & share, but most importantly, PRAY.